Back in April 2015, I posted one of my favorite articles, An Expanded History of Sake Brewing in the U.S., which discussed the early history of Sake breweries in the U.S. My research for this article included combing through hundreds of old newspapers, picking out tidbits of information that hadn't been previously collected into a single resource. It was a fascinating exploration, expanding my knowledge of this topic, and revealing intriguing facts which contradicted what many previously believed. Many Japanese believed that the first Sake brewery outside of Japan was established in Hawaii in 1908, the Honolulu Japanese Sake Brewery. However, that is not the case as a Sake brewery, the Japan Brewing Co., was incorporated in Berkeley, California in June 1901, seven years earlier than the Honolulu brewery. In addition, two other California Sake breweries were established in 1903 and 1907, meaning that the Honolulu brewery was actually the fourth established outside of Japan. The Honolulu brewery had a greater impact on the Sake industry than those California breweries, but it is important to ensure the history is accurate. I also wrote a companion piece, Historical Tidbits About Sake In the U.S., noting a number of Sake references in U.S. newspapers from 1854 to 1926. Some of the references were positive while others were negative, reflective of racism against the Japanese. However, it is interesting to see these myriad views about Sake. Since publishing the original article, I've been corresponding with Tsuneo Kita (the man in the above photo), who is the Representative Director of Kita Sangyo Co., Ltd., a company which creates packaging materials, from bottles to cans, and their customers include a number of Sake breweries. Tsuneo Kita is also very interested in Sake history and was intrigued by my article. We've have some pleasant discussions about a variety of Sake matters. Recently, Mr. Kita was published an article, Sake Brewing History in North America‒ Complete List of Sake Breweries existed/existing in the US and Canada, in the The Japanese Journal For The History of Brewing (#32, February 2017). In the above photo, you can see the front cover of the journal, which is in Japanese. At the top of this page, you can see the English version of the journal's cover. The article, written in Japanese, is 27 pages long, and includes a few charts and photographs, building upon much of the history from my article. It is well worth seeking out this article if you can read Japanese. Mr. Kita also notes in this article, ensuring it was in English: "This paper would not exist without a blog of April 2015, written by Mr. Richard Auffrey. I express my sincerest appreciation to him." Within the article, there are also numerous references to my article. Mr. Kita sent me a copy of the journal, and I've been able to use Google Translate to get a rough translation. The article is not yet available online but hopefully it will end up there in the near future. The history of Sake breweries in the U.S. is a compelling topic and worthy of additional research. The details of many of these early breweries has largely been lost and it would be great to uncover those hidden details. I am back again with a new edition of Thursday Sips & Nibbles, my regular column where I highlight some interesting, upcoming food & drink events. 1) On Wednesday April 5th, from 7pm-10pm, Bar Boulud located at Mandarin Oriental, Boston, is bringing a taste or Oregon’s lush Dundee Hills to the Back Bay. Located in the well-regarded wine region of Willamette Valley, Torii Mor Winery boasts ten acres of vines and is known for producing the highest quality Pinot Noir, Pinot Gris, and Chardonnay. Guests are invited to join Sommelier David Bérubé for this exclusive educational five-course experience, featuring special guest and winemaker, Jon Tomaselli. While learning about the intricacies of the winery’s varietals, guests will enjoy seasonal dishes paired by Chef de Cuisine Michael Denk and Pastry Chef Robert Differ. 2) Tapestry Co-Owners/Chefs Meghann Ward and Kevin Walsh invite guests to join them as they raise a glass to the late Marlena Ward and raise funds for the Marlena J. Ward Breast Cancer Research Fund. In memory of late owner and beloved family member, Marlena Ward, Tapestry will be hosting an evening to benefit the Marlena J. Ward Breast Cancer Research Fund on Sunday, April 2nd. Taking place from 6 p.m. to close in Tapestry’s Club Room, the reception-style fundraiser will feature complimentary hors d’oeuvres prepared by Meghann Ward and Keivn Walsh as well as cocktails curated by Will Isaza of Tiger Mama and Melissa Figerleski of Campari America. Proceeds will benefit Marlena’s research fund and all tips received at the Club Room Bar will be donated to the worthy cause. For more information, or to make reservations, please call (617) 421-4470. There is something for everyone in Greater Portsmouth during Restaurant Week. Waterfront views, open kitchens, woodfired ovens. Wine Bars. Oyster Bars, Craft Breweries. Greek, Mexican, Italian, Caribbean, Mediterranean, New England. Steak, Seafood, Tapas. And so much more. It’s all here in Greater Portsmouth, NH. It is said there are more restaurant seats in Greater Portsmouth than there are residents. --Moxy, with a cultural celebration of their employees, and dishes like Kdam Chaa (Cambodian stir fried crab) and Ukranian Potato-onion Pierogis. --Cure Restaurant with dishes like Spicy Chorizo & Three Cheese Fondue Dip and Honey & Sage Glazed Boneless Pork Loin. --Franklin Oyster House with dishes like Crispy Goat Roulade and Buttermilk Fried Maine Chicken. 4) Civic Kitchen & Drink is hosting its first ever Farmers' Expo, on Sunday, April 2, from 3pm-7pm, to showcase and thank their favorite farmers, brewers, bakers and friends who are part of their extended family at Civic Kitchen & Drink. Come meet the actual farmers and brewers and bakers whose product is behind every plate and glass at Civic. Free and open to the public – come on in for their Farmers Expo Open House. Participating companies include: Lettuce Be Local, Harvey's, Spring Ridge, Lilac Hedge, Nourse, Pecorino's, Yummy Mummy, Bean Counter, Julio's, Wicked Twisted, Wormtown, Cold Harbor, Nashoba Winery, and Cake Shop Cafe. 5) Chef/Owner Michael Schlow and the Doretta Taverna team invite guests to join them at Doretta’s bar for its “Doretta Donates” Celebrity Bartending Series. Taking place on various Thursday evenings throughout the spring, Doretta Taverna welcomes local celebrities to give it their best “shot” as guest bartenders. From 6pm-9pm, each night, guest bartenders will sling cocktails, chat with guests, and even concoct their own signature drink to be featured that evening. 10% of all proceeds from the evening’s bar sales will be donated to a charity of each guest bartender’s choice. 6) Loco Taqueria & Oyster Bar introduces new BBQ Wednesdays, where guests can watch Executive Chef Matt Drummond flex his culinary chops with Loco’s twist on BBQ favorites. In addition to Loco’s signature lineup of tacos and ceviches, guests can enjoy a BBQ Plate for two for $33 every Wednesday. BBQ Specials will be available every Wednesday at Loco starting at 5pm, until they are gone. Guests can anticipate some rotating menu items from the Loco smoker as part of the ongoing Wednesday evening special. Bar Dude Will Falaro will be slinging mouthwatering cocktails, including the spicy cult favorite Little Devil Margarita with jalapeno-infused Maestrp Dobel tequila, a little Combier, Lejay cassis, and fresh lime, and the newly debuted Flamingo with Absolut lime, fresh lime juice, Berry Simple (strawberry, blackberry, blueberry), orange bitters, Elderflower and a splash of soda water. 7) Pedro Martinez Charity, founded by former Red Sox pitching star Pedro Martinez and his wife Carolina, is hosting a fundraising feast at Fenway Park on Saturday, May 6, from 6pm-10pm, that will help the organization continue to provide underserved children and families a brighter future. Dozens of notable sports figures, more than 40 local Boston chefs. Food lovers and Red Sox fans can indulge on delicacies from 39 of Boston’s chefs while overlooking the beautiful field at Fenway Park, mingling with numerous notables, and supporting a great cause. Participating chefs include Tony Maws of Craigie on Main, Andy Husbands of the Smoke Shop BBQ, Brian Poe of the Tip Tap Room, Steve DiFillippo and Rodney Murillo of Davios, Jason Santos of Buttermilk and Bourbon, Jason Neve of Eataly, Leo Fonseca of Stephanie’s on Newbury, Chris Coombs of Boston Chops, and many more. Tickets are available via Eventbrite, ranging from $35 for children’s General Admission and $75 for adult General Admission that includes food from more than 40 chefs. There is also a Grandslam Ticket option for the VIP experience that includes an intimate meet-and-greet. All proceeds will benefit the Pedro Martinez Charity. As I mentioned in my prior post, Boston Wine Expo: Food Finds, I enjoyed the Primizie Thick Cut Crispbreads. 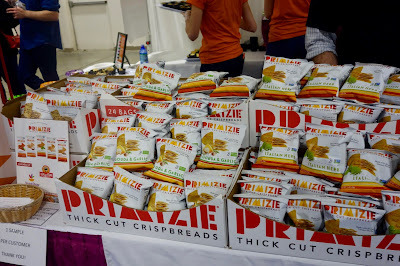 Coming in a variety of flavors, they gave away free bags of their crisp breads, plus coupons, at the Expo, although they didn't showcase all of the flavors they made. 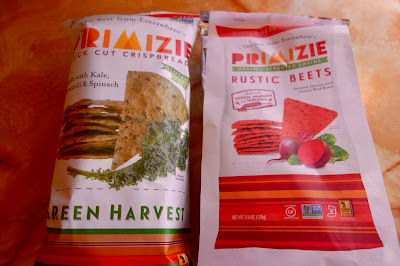 Primizie also sent me media samples of some of their other flavors. Overall, I continued to be impressed with these crispbreads and would recommend them as a tasty and versatile snack. 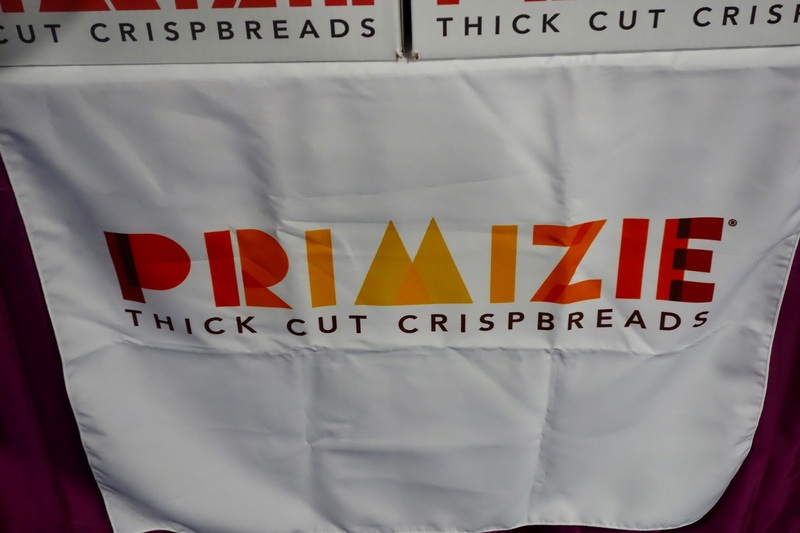 Primizie Thick Cut Crispbreads was founded by Mark & Lisa Spedale, and its origins extend back to 2001 when Mark founded Primizie Catering. A trip to Italy would help inspire the idea for the crispbreads, as they sought a way to use leftover bread with hors d'oeuvres. The bread would be grilled, crisped and then sliced into smaller triangles. In 2011, they started selling these crispbreads to retailers and the company has grown since then, now available nationwide. These crispbreads are intended to be healthy, lacking artificial colors, artificial flavors, and preservatives. They continue to be grilled, crisped and hand-cut, while the seasonings for each variety are mixed into the dough. 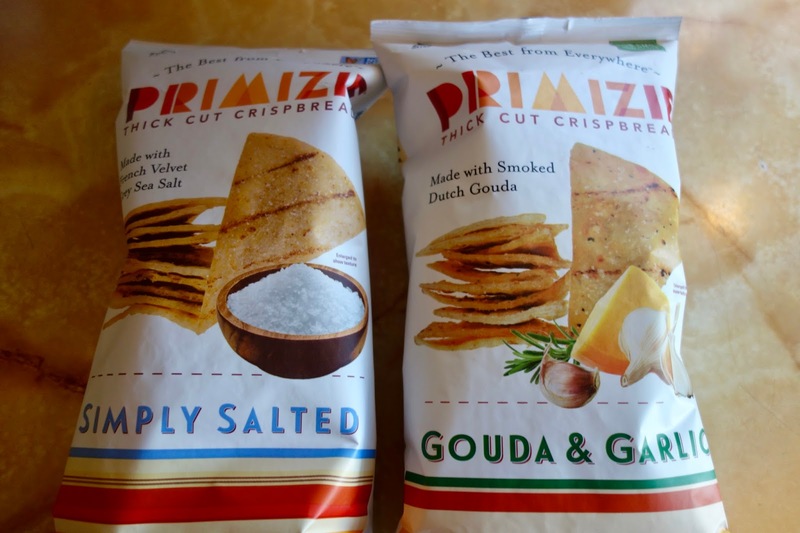 The only area of their FAQ which doesn't appear to be correct is the section, Minimal Ingredients, which states "All Primizie products are made with fewer than six ingredients." For example, the Ancient Grains and Gouda & Garlic flavors are made with more than six ingredients. It isn't a major issue though as if you consult the ingredients list, it is clear why those ingredients were added and they don't appear to be anything you wouldn't want in such a snack. The Simply Salted is their basic version, made from only four ingredients including wheat flour, sunflower oil, salt (Sel Gris, French Velvet Grey Sea Salt) and yeast. The "chip" itself is thick and sturdy, able to stand up to any dip without breaking or wilting. You could also stack other ingredients atop it to make your own hors d'oeuvres. All of their flavored crispbreads are equally as thick and sturdy, which is an advantage. The Simply Salted has a mild, buttery taste, enhanced by the salt, and make for a nice snack on their own, though the addition of some salsa or cheese dip works well too. The Gouda & Garlic, made with Smoked Dutch Gouda cheese and roasted garlic, adds more flavor to the basic crispbread, with plenty of smoky cheese flavors and lots of garlic. There is a intriguing tang to the flavor which elevates these snacks. I really enjoyed these on their own, though they too would work with plenty of dips. 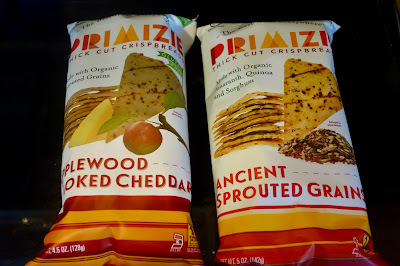 The Applewood Smoked Cheddar brings a different cheese flavor to the crispbreads, though there is still that smoky edge. Maybe my favorite flavor was the Ancient Sprouted Grains, made with organic Amaranth, Quinoa, and Sorghum plus poppy seeds, caraway seeds, and organic molasses. I loved the rich nuttiness of these crispbreads, a satisfying blend of flavors which were perfect on their own, though topped with cheese they were also excellent. As healthy as these crispbreads are, they still possess a compelling taste which will appeal to anyone. Their crispbreads get even healthier, with the Green Harvest (made with Kale and Spinach) and the Rustic Beets (made with beets). These aren't flavors that usually attract me, though the crispbreads actually didn't totally turn me off. And those who like those flavors really enjoyed these crispbreads. You'll also find Primizie in other flavors, including Italian Herb, Chile & Lime, and Dolce Caramel. 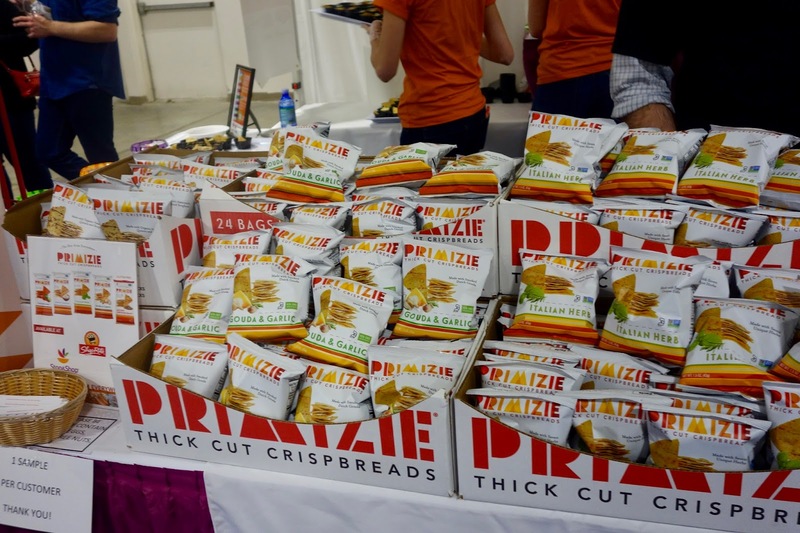 If you're looking for a new snack to try, one that is healthy but still tasty, then pick up a bag or two of Primizie Thick Cut Crispbreads. Two reviews, in different local periodicals, of the same new restaurant. Both written by experienced and knowledgeable reviewers. However, one of those reviews succeeds while the other fails. Why is that the case? To me, there are four primary elements that every professional restaurant review should address, including food, drink, price and service. There are numerous secondary aspects that can be addressed as well, such as the restaurant's size, decor, ambiance, parking availability, etc. If a review ignores one of the four primary elements, then I feel it has failed in its execution, omitting significant information that many potential customers would like to know. Such an omission does a disservice to both the potential customer and the restaurant. Of the four primary elements, one seems to be ignored the most, despite its importance to many diners. I've raised this issue before but it bears repeating as it remains a problem. A number of restaurants reviews ignore a restaurant's drink program, even when that element is a vital aspect of the restaurant's concept. That is a clear failure and professional reviewers should know better than to ignore such an important element. This is the reason why one of the two reviews I recently read failed. It failed to discuss the restaurant's drinks program, even though it plays a significant role in the restaurant. And this restaurant has some unique elements to its drinks program, highlighted by the other reviewer, which would entice a number of potential customers to check out the restaurant. That information should have been in the failed review too. 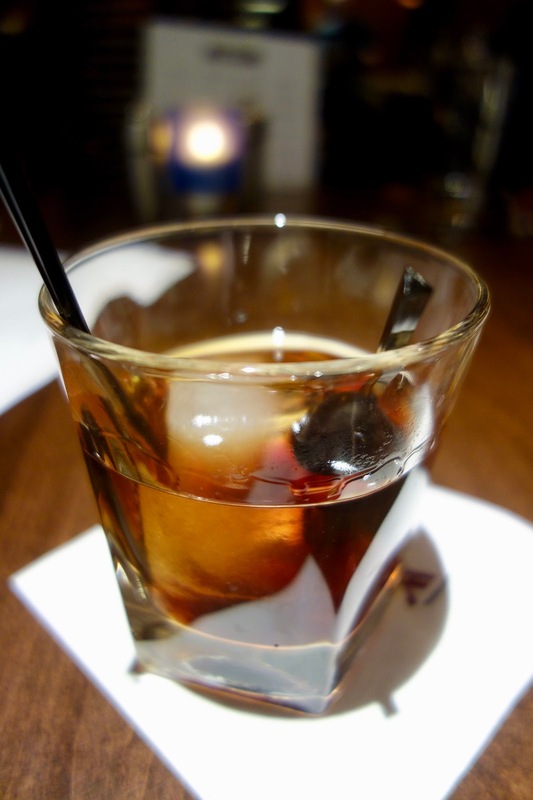 Many restaurants invest much time and effort into developing their drink lists and bar programs. They may bring in experts, sommeliers, mixologists and more, to help design those programs. They may be rightfully proud about their accomplishments, and it becomes a significant reason why diners will patronize their establishment. Potential customers might seek out a restaurant because of its tequila bar or whiskey list, their natural wines or Sake menu. When reading a restaurant review, they want to read about the food but many also want to learn about the drinks program. Consider the example of a Japanese izakaya. The literal meaning of izakaya is a “sit-down-Sake-shop,” though it now generally refers to a Japanese bar that serves any type of alcohol, not just Sake, and also food to accompany that alcohol. Izakayas originated during the Edo period (1603-1867 AD) when Sake vendors began to provide tables and seats for their patrons, and eventually started serving food with the Sake samples. Thus, in an izakaya, their alcohol and food are both significant and warrant discussion in any professional review. Failure to do so ignores an important aspect of the izakaya's concept. Diners can sometimes spend more on their alcohol than their food so that alone would point to its significance. 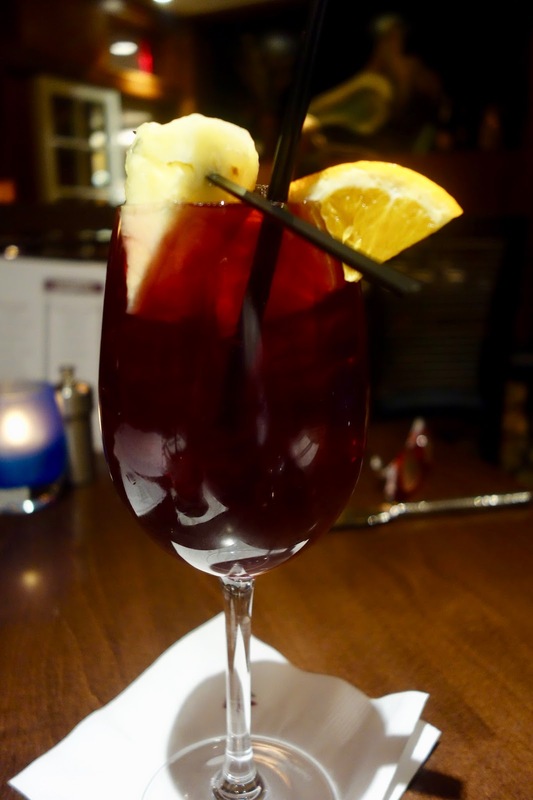 Other diners specifically seek out restaurants with specific drink programs, such as a well curated wine list. Lovers of spirits may seek out a restaurant with a large and/or unique selection of their favorite spirit. They want to read a restaurant review and learn about what drinks it has to offer, and whether it has something to entice them or not. Restaurant reviewers, please don't ignore a restaurant's drinks program. It is significant information that should be within your review, and will better help your readers decide whether they want to patronize that restaurant or not. 1) On Thursday, March 23rd, Chef/Owner Michael Schlow, Chef de Cuisine Brendan Pelley, and the Doretta Taverna & Raw Bar team will host a special, five-course wine dinner, featuring Greek wines from Fantis Imports. The evening will include a cocktail meet and greet at 6:30 p.m. followed by a sit-down dinner at 7 p.m. The five-course meal will feature off-menu spring dishes paired with Fantis Imports wines and conversation with Niko Mavreas about Greek wine varietals. I've long been a fan of Greek wines and you really should drink them as well. Though the menu hasn't been finalized yet, you might see intriguing dishes such as Octopus Terrine, Lobster Tail Souvlaki or Green Garlic Pita. For Reservations, please call (617) 422-0008. 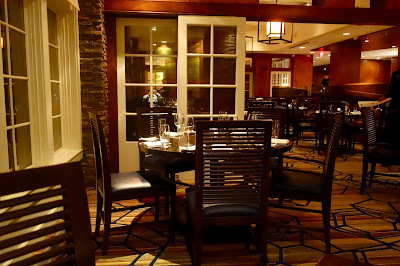 2) On April 5, NF Northeast (Neurofibromatosis Northeast) will celebrate the NF community and its supporters with their 18th annual Table for TEN charitable dining event in Boston. With honorary co-chairpersons Dan Andelman, host of myTV38’s “Phantom Gourmet,” and Donato Frattaroli, Jr., proprietor of il Molo restaurant in the North End, headlining this unrivaled evening, supporters will dine at some of the city’s top restaurants before closing out their night at a decadent dessert reception with live entertainment and an auction hosted at the newly renovated University of Massachusetts Club. Frattaroli is the second generation in his family to serve as honorary co-chair of the event, with his father, Donato Frattaroli, Sr., having held the title in 2011. Groups of ten guests will arrive at their respective restaurant at 6:00pm on Wednesday, April 5, and will indulge in a specially created three-course menu paired with wine. Participating restaurants in this year’s Table for TEN event include, but are not limited to: Artu; Da Vinci Ristorante; Darryl’s Corner Bar & Kitchen; Davio’s Northern Italian Steakhouse; il Molo; La Motta’s; Legal Sea Foods (Park Square); Lucca (Back Bay & North End); Ocean Prime; Parker’s Restaurant; Post 390; Scampo; Serafina; State Street Provisions; Strega Waterfront; The Smoke Shop; The Tip Tap Room; Top of the Hub; Tresca; and, Union Oyster House. At 8:00pm, supporters are invited to continue the festivities at the official after-party at the University of Massachusetts Club. At this dessert reception, Montilio’s Baking Company will provide sweet treats and revelers will enjoy music entertainment by Ancient Mysteries featuring Kevin McKelvey and Ben Buttrick. Additionally, there are raffles, a silent auction and a live auction with honorary co-chairperson, Dan Andelman, serving as guest auctioneer. Neurofibromatosis (NF) is a prevalent genetic disorder of the nervous system that causes tumors to form on the nerves anywhere in or on the body at any time. Proceeds from Table for TEN will fund scientific research at the Center for Human Genetic Research at Massachusetts General Hospital as well as provide support to the NF clinics at Boston Children’s Hospital and Massachusetts General Hospital. Research will help find the cure for NF, a genetic disorder that can cause learning disabilities, seizures, brain tumors, deafness, vision impairment and cancer. Additionally Table for TEN will help to create awareness about NF which affects more people than cystic fibrosis and muscular dystrophy combined, yet is a little known disorder. Over the years, incredible strides in research development have been made bringing us one step closer to a cure. For more information on the Table for TEN event and to reserve online, please visit: www.nfincne.org. Tables for ten are available beginning at $1,000 and individual tickets at a table may be reserved for $100 per person. Sponsorships are also available by contacting NF Northeast’s Diana Flahive at 781.272.9936 or dflahive@nfincne.org. 3) On Monday, March 27, from 6pm-10pm, join the MRA and Massachusetts Chefs in the fight to end child hunger. Hosted at Davio’s Foxborough, the evening will feature a multi-course tasting dinner menu with wine pairings in support of Share Our Strength’s No Kid Hungry campaign. In addition to the Chef/CEO Steve DiFillippo of Davio’s, chefs from the following local restaurants in Foxborough will be preparing the menu for the evening: Scorpion Bar, Tavolino, Skipjack’s, Twenty8 Food&Spirits and CBS Scene. Share Our Strength began in the basement of a rowhouse on Capitol Hill in 1984, in response to the ‘84-‘85 famine in Ethiopia. Brother and sister Bill and Debbie Shore started the organization with the belief that everyone has a strength to share in the global fight against hunger and poverty, and that in these shared strengths lie sustainable solutions. Today we focus these strengths on making No Kid Hungry a reality in America. Cost: Tickets for the event are $125 per guest (excluding gratuity) and include a cocktail reception followed by a five-course tasting menu with wine pairings. 4) Chef de Cuisine Alex Saenz and the BISq team invite guests to join them on Sunday, March 26, from 10:30am to 3pm, for a special island time-themed pop-up brunch. For the third installment of BISq’s, monthly pop-up brunch series, the restaurant will be transporting Bostonians to warmer weather by way of its island time brunch this Sunday. The brunch will feature a tropical a la carte menu, signature cocktails, and live reggae music. To make reservations, please call (617) 714-3693. "Gyro, pronounced “GAEE-ro” in English and “GHEE-ro” in Greek comes from the Greek word “gheereezo,” which means to turn. As mentioned above, it’s a stacked rotating pile of thinly sliced meat, either lamb, pork, beef, or some combination thereof, with latter-day renditions that include chicken and even fish. As the tightly packed stack roasts upright, the layers meld together and the grill person manning the gyro rotisserie cuts of paper-thin slices, which he or she fixes in a pita wrap with tomatoes, raw red onions, parsley or lettuce, Greek yogurt or tzatziki, and sometimes fried potatoes and a sprinkling of paprika or cayenne pepper." Newbury Street has seen the recent opening of a fast casual restaurant worthy of much attention, one bringing delicious, freshly made, inexpensive and compelling Greek street food. Gre.Co (meaning Greece & Company) is the latest venture from Demetri Tsolakis, who is also a Partner at Committee (one of my favorite restaurants) and Cafeteria. With General Manager Stefanos Ougrinis and Executive Chef Alkis Sheri, the Gre.co team is creating tasty Gyros and Loukoumades and I'm impressed with the results. So far, I've dined at Gre.co twice, once as a media guest and once on my own, and I'll certainly be returning on a regular basis. In a recent rant, We Need More Specialized Restaurants, I stated how I wished to see more restaurants with limited menus, which specialize in one or a few items. 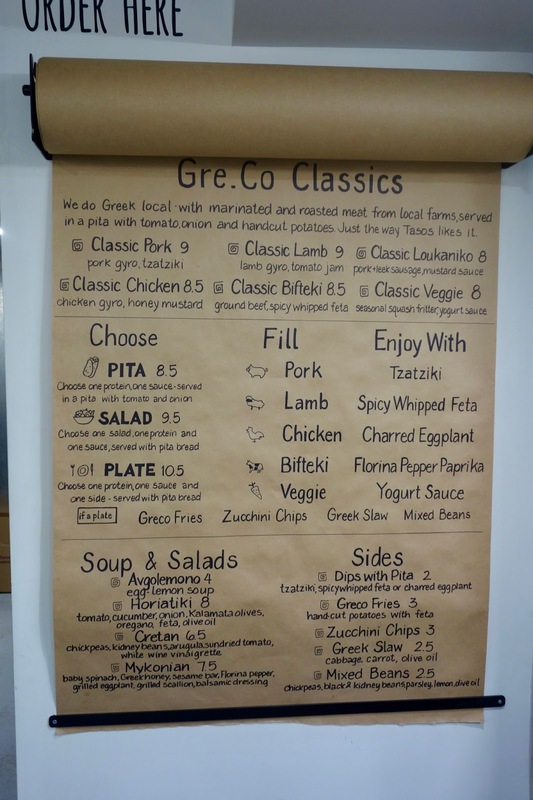 Gre.co actually meets that desire, having a small menu, concentrating on two main items, Gyros and Loukoumades. With that specialization, they are able to concentrate on creating fresh, quality products. And as everything is made to order, they can also cater to some of your preferences. "The gyro as we know it more or less today first arrived in Greece in 1922,.."
Upon entering Gre.co for the first time, I was initially struck by the alluring aromas of the kitchen, which is open, allowing you to watch everything they make as well as ensuring the wonderful smells of their cooking permeate the restaurant. It is a small place, with a long table in the middle that seats about eight people, a few "booths" on one wall, and some counter seating near the front window. When the weather improves, they will also have patio seating, which will be a great place this summer to sit and dine. On both occasions when I was at the restaurant, much of the seating was taken and they did a significant take-out business. Gre.co's popularity was quite evident. Gre.Co prepares its foods fresh each day, using a number of local meat purveyors, including Savenor's Market. They marinate all their meats for about 24 hours, using their own house-made marinades. They also use some locally sourced produce from Eva’s Garden and other nearby farms. They even make their own Hot Sauce, using Greek Florina peppers, and it is spicy and flavorful. It can be a nice addition to your Gyro. After the meats have been properly marinated, they are then thinly sliced and carefully placed onto the rotisserie. On another visit, I watched as they used a potato slicer to cut their fries, placing the whole, skin-on potato into the machine, pulling a lever, and having the potato slices ready for frying. They aren't hiding anything here. These are the rotisserie meats ready for slicing for the gyros and will excite any carnivore. This presents a compelling vision for customers who might be indecisive. The Pitas are cooked on the grill, ensuring they are fresh and hot. 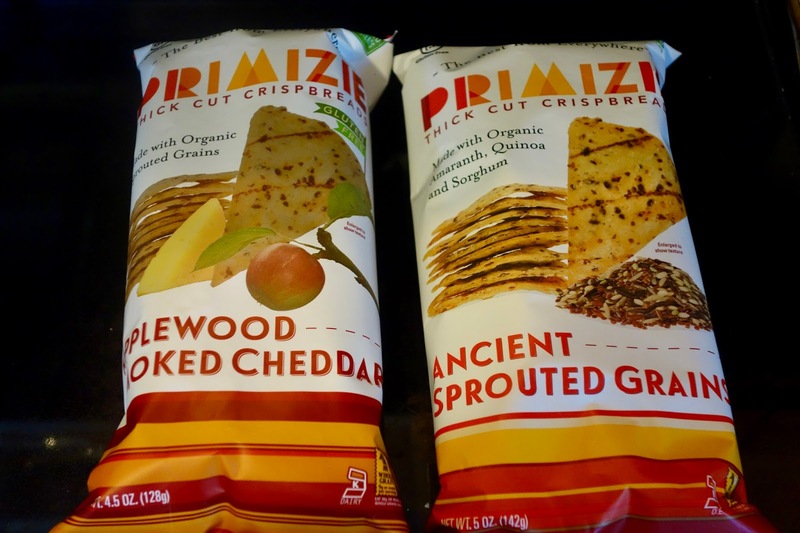 For a bread lover like me, these pitas are excellent and I could use them for almost any sandwich. To accompany their food, Gre.co even offers numerous unique Greek beverages, and I'm sure most of you have never tasted many of these drinks before. Try a Frappe (traditional Greek iced coffee), Epsa (available in lime, lemonade of sour cherry), Mastiqua (Mastiha flavored sparkling water that aids in digestion), or Ouzon Soda (ouzo flavored soda). I've become a fan of their Tuvunu Greek Mountain Tea, which is made from Sideritis, an indigenous perennial. The tea is flavored with brown cane sugar, wild blossom honey, and fresh squeezed lemon juice. It was delicious, with only a mild sweetness, and pleasing tea notes and an herbal backbone. It is refreshing and you could easily drink can after can without feeling bloated or overwhelmed by sugar as you can be with soda. Next time, I need to try some of the other Greek drinks. "There is actually a National Gyro Day and it is August 31st." The food menu is dominated by six different types of Gyros, all which are served in a warm pita with tomatoes, onions and hand-cut potatoes. The six Gyros (priced $8-$9) include the Classic Pork (with tzatziki), Classic Lamb (with tomato jam), Classic Chicken (with honey mustard), Classic Loukaniko (pork and leek sausage with mustard sauce), Classic Bifteki (ground beef with spicy whipped feta) and Classic Veggie (seasonal squash fritter with yogurt sauce). As everything is made to order, you can also customize your own Gyro, choosing your own protein and sauce combination. The Lamb and Pork are very popular, but it varies dependent on any specific day. As a slight variation, you can also have a Salad ($9.50) or Plate ($10), selecting your own protein and sauce combination, and each also comes with pita bread. The Plate also comes with a side. You can order a salad on its own, including the Horiatiki ($8), Cretan ($6.50) and Mykonian ($7.50). There are also a small number of Soup & Sides, such as Avgolemono (egg lemon soup) and Greek Slaw. The Classic Lamb was packed with plentiful meat, which was tender and flavorful, and the tomato jam added nice acidity and a little sweetness to the gyro. The addition of the salty fries also enhanced the gyro. Overall, the gyro was good-sized, tasty, fresh and well balanced. Highly recommended. The Classic Bifteki also had plenty of meat, basically a hearty burger, with the spicy whipped feta that added heat and creaminess to the gyro. The acidity of tomatoes helped with the creaminess and the fries added that saltiness too. It might not be a traditional burger, but certainly was a tasty alternative. Though I didn't have any of the salads, I saw several that others ordered and they looked excellent, filled with plenty of fresh vegetables. As for Sides, you can order the Dips with Pita ($2), selecting Tzatziki, Spicy Whipped Feta or Charred Eggplant. Above is the Spicy Whipped Feta, which has hot peppers mixed into the salty feta, and you receive plenty which you can smear on slices of warm pita. A fine afternoon or evening snack. The Gre.co Fries ($3), hand-cut potatoes with feta, are addictive. The crisp fries, with a fluffy interior, are enhanced by the salty, creaminess of the feta. I think more restaurants should consider topping their fries with feta. The Zucchini Chips ($3) are another compelling snack, and I've previously enjoyed them at Committee. I'm not usually a zucchini lover, but these thinly sliced, fried chips will persuade even the skeptic. And they are healthy than many other chips. "The French have their beignets, Americans have doughnuts, but Greeks have loukoumades, round dough fritters drizzled with Greek honey and sprinkled with cinnamon." Gre.co's second specialization are their Loukoumades ($5.00-$6.50 for nine), basically Greek donuts. They come in five different flavors, and you can also customize your own as well. Their flavors include: Classic (Greek honey, walnuts and cinnamon), Yaya’s (hazelnut praline, oreo cookies, powdered sugar), Papou’s (mastiha crème, pistachios), Tasos (dark chocolate, coconut flakes) and Golpho (caramel, almonds, sea salt). It's worth stopping by Gre.co just for the loukoumades, anytime you have an urge for something sweet. The Classic Loukoumades ($5) begins with a light donut hole, with a crisp exterior and the light, fluffy interior, are topped with a sweet and compelling mix of Greek honey, walnuts, and cinnamon. It's easy to devour one after another until you find the box is empty. The walnuts add a nice crunch to the donuts and the cinnamon is a nice addition to the sweet honey. For the chocolate lovers, the Tasos Loukoumades will satisfy, with the rich dark chocolate and crunchy coconut flakes. The Golpho Loukoumades ($6) have that tasty sweet & salty combination, with the addition of the thinly sliced almond pieces. Of the three Loukoumades I tried, I liked the Classic the best, but enjoyed all three and could easily eat any of them again. Probably just depends on your preferences at any specific time, such as if you are in a chocolate mood or not. In one corner of the restaurant, they also sell a small variety of Greek-made products, from olive oil to pasta sauce, from candy to honey. This section may expand in the future, and Gre.co may also start selling their hot sauce. You'll even find Tasos, their mascot, for sale. 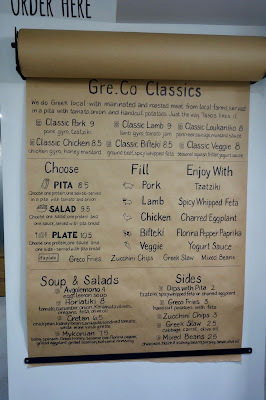 Gre.co has only been open for a short time but it is already impressive with its fresh, delicious, quality food. Service is relatively quick, with everyone working as a well-oiled machine to put together your made-to-order gyros and loukoumades. It is great they have chosen to concentrate on a small menu of items, and there is still something for almost everyone's taste. I'm sure their patio will be packed this summer. And maybe I'll see you there. Rant: Another Reminder--Eat More Seafood! Eat More Seafood! Eat More Seafood! Eat More Seafood! Eat More Seafood! Eat More Seafood! Yes, I've said this repeatedly before, in multiple posts over the years. And it continues to bear repeating as many Americans still haven't stepped up as much as needed. Seafood consumption will significantly lessen your chances of dying from the leading cause of death in the U.S. That's a powerful reason why you should consume more seafood. The Seafood Expo North America is in full swing, having started yesterday and it will end tomorrow. Once again, I'm walking its myriad aisles, exploring the various booths, tasting samples of seafood, learning about seafood issues, and much more. I'll be writing about my experiences at the Expo in the near future but wanted to begin my coverage with the most important issue, trying to convince more Americans to eat more seafood. Annual seafood consumption had been on a depressing decline during recent years, with seven years of constant decline, down to 14.5 pounds in 2013. In 2014, there was a tiny increase, to 14.6 pounds, but the best news came in 2015 when annual consumption actually increased nearly a pound to 15.5 pounds. Is this an anomaly or the sign of a positive new trend? The problem is that this amount still falls short of the recommendations of the USDA and many other bodies who state that Americans should consume at least 26 pounds of seafood each year, essentially meaning you should eat seafood twice a week. How do we get Americans to eat over 10 pounds more seafood each year? According to the Centers for Disease Control & Prevention (CDC), the leading cause of death in the U.S. is heart disease, killing over 614,000 people each year. We all have had family and friends who have died from heart disease, and we should be doing what we can to reduce our own chances of acquiring heart disease. Do you want to die prematurely, leaving your loved ones without your presence? Do you want to die from heart disease when you could have adopted a small lifestyle change which might have saved you? Seafood consumption is a significant key to reducing your chances of heart disease. Since the 1970s, over 20,000 research studies have been conducted on the health benefits of seafood and they have concluded that eating seafood twice a week can reduce your chance of dying from heart disease by about 36%. You won't find another single food that has been scientifically proven to reduce heart disease so much. Low seafood consumption is blamed for 84,000 deaths in the U.S. and 1.4 million globally. Besides helping to reduce heart disease, research has also been providing growing evidence of the health benefits to the brain and bones as well as against cancers and inflammatory diseases. Eating more seafood is such a simple change to your lifestyle and it can bring so many health benefits. If we want this positive trend to continue, we need to continue to find ways to persuade people, overcoming their objections, to eat seafood more frequently. More outreach is needed. We need more positive articles in the media espousing the health benefits of eating seafood. We need to overcome the obstacles that prevent people from consuming more seafood, such as its high cost and the difficulties many people have cooking seafood at home. It's a formidable goal, but it can be accomplished. You owe it to yourself, and your family, to eat more seafood and benefit your health. In the Boston area, we are fortunate that we have seen a recent surge of new seafood restaurants, which can help us reach our annual goal of 26 pounds of seafood. Consider places such as Island Creek Oyster Bar (with a second location newly opened in Burlington), Row 34, Select Oyster Bar, Il Molo, Saltie Girl, Luke's Lobster, and Haley.Henry. There are numerous other seafood restaurants which have been around for longer too. You can also go to the retail location of Red's Best at the Boston Public Market to purchase seafood meals or fresh fish which you can prepare at home. Step up your game and eat more seafood. Try to consume seafood at least twice a week. Seafood is delicious, can be prepared in a myriad of ways, and is extremely healthy. So what's stopping you from reaching your seafood consumption goal? I have a fondness for Mezcal, that Mexican spirit which is often made by small families using traditional techniques. You can read some of my previous Mezcal articles, such as Mezcal & Beyond, Mezcal Bars in the Boston Area, Amuleto Mexican Table, Mezcal Vago & "A Slap To The Face", and Rant: 400 Rabbits Say "Drink More Mezcal". While perusing the shelves at The Wine Press, I noticed a Mezcal brand that was new to me, Mezcal Amarás, and Aaron, one of the owners of the shop, highly recommended the Mezcal Amarás Cupreata Joven to me so I bought a bottle. Back in 2010, Mezcal Amaras was originally founded in Mexico as Mezcal Amores by a group of friends who developed a passion for Mezcal. The U.S. Alcohol & Tobacco Tax & Trade Bureau (TTB) opposed the name of the brand so they changed it to Mezcal Amaras for import into the U.S. In Spanish, the term "Amarás" means "you will love." They are dedicated to sustainability and their website states: "Mezcal Amarás works only with sustainably cultivated agaves as part of their commitment to ensuring the long term preservation of the species and its biodiversity. Mezcal Amarás also plants ten agaves for each agave used in order to generate work in the community and maintain sustainability over the long term." There is plenty of discussion about agave sustainability in the mezcal community and paying attention to this significant issue is vital to the continued existence of the mezcal industry. Besides ecological sustainability, Mezcal Amarás is also dedicated to the economic sustainability of the mezcal business, and their site also states: "To further support the communities, Mezcal Amarás reinvests 15% of their gross profits to improve ecological, economic and social sustainability in the mezcal producing regions where the companies works." In addition, "The compensation for everyone who works in the manufacturing process of Mezcal Amarás, including agave producers, jimadores and distillery workers, is at least 20% higher than the local average." Very worthy objectives. As for the Mezcal Amarás Cupreata Joven, it is produced in the village of Mazatlán, in the state of Guerrero, and its Master Mezcalero is Don Faustino Robledo. It is made from 100% Cupreata Agave, also known as Papalote, which is a rare plant found in Guerrero on certain mountain slopes in the Rio Balsas basin. This agave generally takes about 13 years to mature and is said to provide a vegetal profile to its mezcal. Once the agave is harvested, it is cooked for about five days in a conical stone oven, fueled by sustainable red oak logs. A mechanical shredder is then use and the juice is then fermented in small ayacahuite wooden vats. It will then be double distilled in copper pot stills. I found this to be an intriguing Mezcal, with a complex melange of aromas and flavors. On the nose, you'll find hints of citrus and forest notes while on the palate, there is a complex blend of vegetal elements, some tropical fruit notes, and spice hints, with a mild smokiness primarily on the finish. Each sip brings new flavors to your palate and you'll love spending time slowly sipping and enjoying all you will find in this Mezcal. Highly recommended. You can pick up at bottle at The Wine Press, though if you can't make it there, the Mezcal is imported by Anchor Distilling so you can also obtain it from any wine shop that deals with Anchor. 1) Join Davio's Northern Italian Steakhouse, in Lynnfield, on Thursday, March 23 at 6:00pm, for a culinary wine tour of Merriam Vineyards in Sonoma County. Taste along with winemaker Peter Merriam, from one the most respected vineyards in the country. Designed for oenophiles of all levels, the four-course dinner with wine pairings will feature regionally inspired foods prepared by Executive Chef Danny Levesque. COST: $95 per person (excluding tax and gratuity). 2) City Winery is not yet open, but founder Michael Dorf is producing an exciting event, a pre-Passover Seder, on Sunday, April 2, at 7pm, at the Laugh Boston Comedy Club at the Westin Hotel in the Seaport District. Dorf hopes this will become an annual tradition. City Winery invites all faiths to enjoy The Downtown Seder, a celebrity driven, music, artistic and interpretive Seder that offers a unique cultural connection to a historic tradition. Dorf debuted the Seder 20 years ago in New York City and, this year, will host five consecutive Seders, beginning in Boston, and moving on to New York, Atlanta, Chicago, and Nashville. Boston’s line up includes Israeli superstar David Broza, comedians Judy Gold and Joel Chaznoff, local artists Hankus Netsky, Rick Berlin, Ezekiel’s Wheels, Novelist Rachel Kadish, Cantor Elias Rosemberg, and Vince Warren from the Center for Constitutional Rights. City Winery Seder is produced in association with The Jewish Arts Collaborative, a not-for-profit organization exploring and presenting the rich, diverse and creative world of Jewish arts and culture.The Seder’s will give 100% of the net proceeds earned to the Center for Constitutional Rights - certainly an appropriate choice given today’s political climate. The Center is dedicated to advancing and protecting the rights guaranteed by the United States Constitution and the Universal Declaration of Human Rights. CCR is committed to the creative use of law as a positive force for social change. 3) Due to this week's snow storm, the following event was rescheduled to next week, and will now be held in March 21. Rowes Wharf Bar, located inside the iconic Boston Harbor Hotel, invites guests to kick off their St. Patrick’s Day celebrations with a special Tullamore D.E.W. Irish Whiskey Dinner presented by Chef Daniel Bruce. On Tuesday, March 21, at 6:30pm, guests will enjoy a variety of whiskeys from Tullamore D.E.W., the original triple distilled and triple blended whisky, known around the world for its smooth and gentle complexity. Chef Daniel Bruce’s three course dinner has been designed to complement the whiskeys and bring their unique flavors to the forefront. Reservations are required in advanced and available on Eventbrite. Burlington has seen a boom in restaurants, with new places opening all the time, and with even more planned for the near future. Some of those restaurants have received, and rightfully so, plenty of rave reviews but a few seem to largely remain under the radar, though well-deserving of greater recognition. 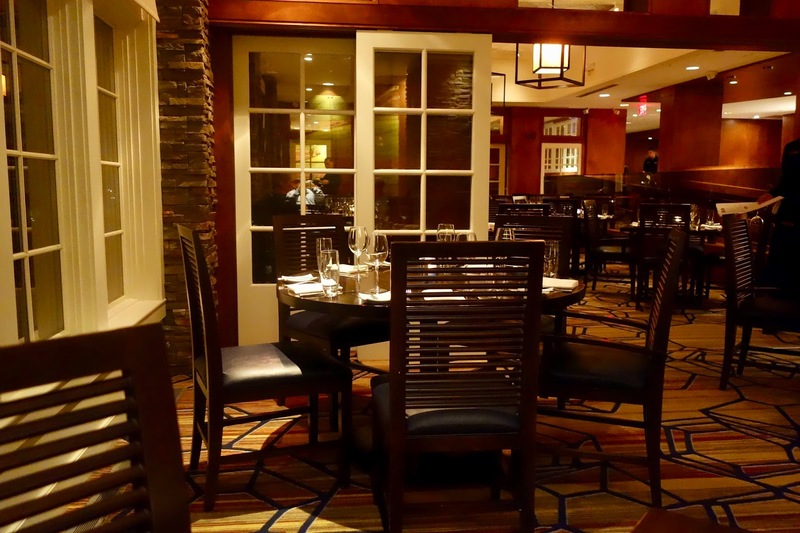 One such worthy restaurant, which doesn't receive as much publicity as it should, is Chopps American Bar & Grill, located at the Burlington Marriott. For the last three years, Chopps has been on my annual list of Top 50 Restaurants, and throughout my multiple visits, for both lunches and dinners, it has remained consistently excellent, for the quality and taste of their food, as well as the quality of their service. I think that part of the reason Chopps is ignored by numerous people is that is it located in a hotel, and some people have a negative bias against hotel restaurants, believing the quality isn't as good as a stand-alone spot. Yes, there are some hotel restaurants which fail to deliver but that is insufficient reason to believe they are all the same. And Chopps will prove to you that hotel restaurants can excel. Recently, Chopps hired a new Executive Chef, Steve Zimei, and he introduced some new menu items. Steve, a Johnson & Wales University graduate, began his culinary career working for Chef Daniel Bruce, eventually becoming a sous chef at Rowes Wharf Sea Grille. Steve would also work on the opening teams for spots including Aquitaine, Harvest and XV Beacon Hotel. In addition, Steve moved onto executive chef positions at places including Gallia, Hotel MIT, The Worcester Restaurant Group, the Papa Razzi Group, and most recently Trails End Café in Concord. Now, he has returned to work with Chef Bruce at Chopps. I was invited, as a media guest, to visit Chopps, meet Chef Zimei, and experience his new menu creations. The restaurant has several dining rooms, including private rooms for business meetings, celebrations or such. There is also a large lounge and bar, with a number of comfortable booths, and this area is often quite busy as hotel guests and others hang out, have a drink, and grab a bite after work or for dinner. They have a full bar, serving cocktails, beer and wine. Their reasonably priced Featured Cocktails ($10-$12) include their own creative cocktails, such as Billy's Boom Boom (Knob Creek Rye, Carlson Orchard Apple Cider) and Toni's Tasty Treat (Don Julio Tequila, St. Germain, Grapefruit Juice, Jalapeño, and Lime Juice). They also have a nice list of more than 20 American Bourbons, Ryes and Single Malts. In addition, they stock about 25 beers ($6-$9), many local. Their wine list has about 27 wines available by the glass ($7-$16) and the list is California heavy. You will see lots of familiar faces on the wine list, though I would prefer to see a larger portion of wines from different regions. We began with the Autumn Spice Sangria ($10), a pleasing, fruity concoction that tasted like the fall and wasn't overly sweet. Hints of cinnamon and apple, with juicy red fruit flavors. The WhistlePig Rye Manhattan is one of my usual choices at Chopps. It is well-made, with a large ice cube and three cherries. And on a chilly winter evening, it is a great choice to warm you up. Chopps serves breakfast, lunch and dinner and their menu changes seasonally. On their Dinner menu, you'll find Appetizers ($11-$17), from Beef Carpaccio to Lamb Lollichopps; Soup/Salad ($6-$13), from Clam Chowder to Burrata Salad; Steaks & Chops ($28-$54), from Filet Mignon to Porterhouse; Mains ($18-$35), from Scallops to Roasted Springer Hill Chicken; and Sides ($5-$6), from Mushroom Fricasse to Truffle Fries. The Lunch menu primarily adds a variety of Sandwiches ($13-$19), from a Lobster Roll to a Fried Chicken Sandwich; and Pizza ($13-$16). You'll find plenty of choices, though not an overwhelming amount. 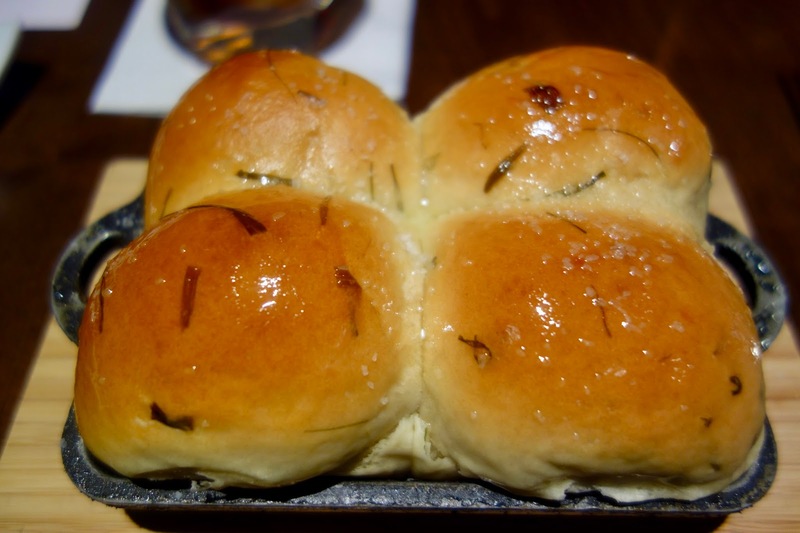 Before your food begins to arrive, you'll be brought a small, cast iron pan with four warm, soft and buttery Parker House rolls, with a touch of salt and herbs. For a bread lover as I, this is a great way to start your dinner, and you might be tempted to ask for more. Our dinner began with a couple Appetizers, including the Short Rib Mac & Cheese ($15), with toasted cornbread crumbs. 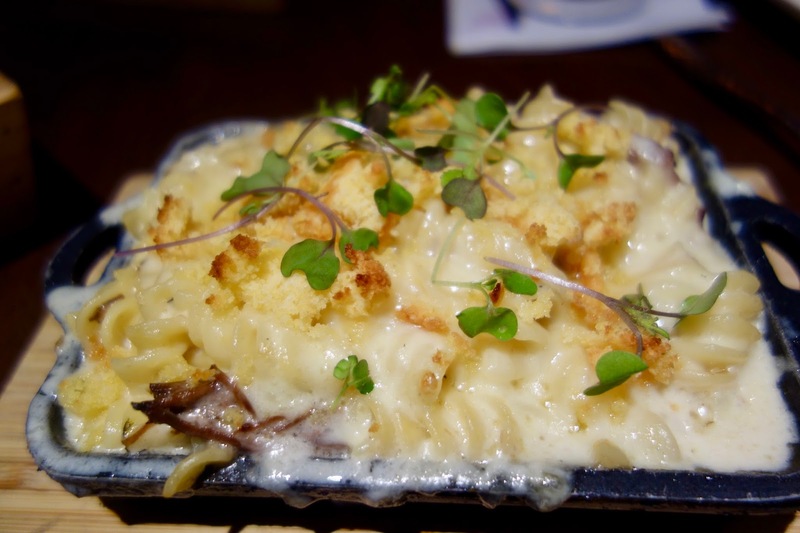 The rotini were in a creamy, cheesy sauce with tender pieces of short rib and the slight crunch of the cornbread. Excellent comfort food, it was large enough for two people to split, and every forkful provided plenty of cheesy flavor. 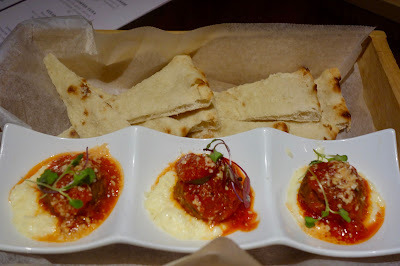 The River Rock Farms Meatballs ($14), with Tallegio polenta, tomato sugo, and shaved parmesan, were served with slices of pita bread. I'm not sure pita actually went well with this dish, but I also enjoy warm bread whether it pairs with a dish or not. The meatballs were dense and tender, with a nice mix of spices, and the creamy polenta, with the tang of the tallegio, was a nice touch. The sauce also had a nice depth of flavor, contributing to a winner of a dish. We then moved onto a mid-course, including the Caesar Salad ($10), with brioche crouton and parmigiano. Excellent freshness and the crouton was a crunchy, with some buttery element. The Jumbo Shrimp ($15) were also fresh and tasty, enhanced by a spicy cocktail sauce. As my Main Entree, I opted for the Pork Chop ($32), with grilled cornbread, braising greens, glazed apples, and bacon lardons. It was a thick and meaty pork chop, yet it was cooked perfectly through and through. Tender, juicy and flavorful, this was a superb piece of pork and would satisfy the appetite of any hungry carnivore. The cornbread was moist and slightly sweet, the apples were sweet and crisp, and the lardons were like bacon candy. The Line Caught Cod ($31), which was cornmeal crusted, came with roasted corn & fingerling potatoes and lay in a chowder sauce. 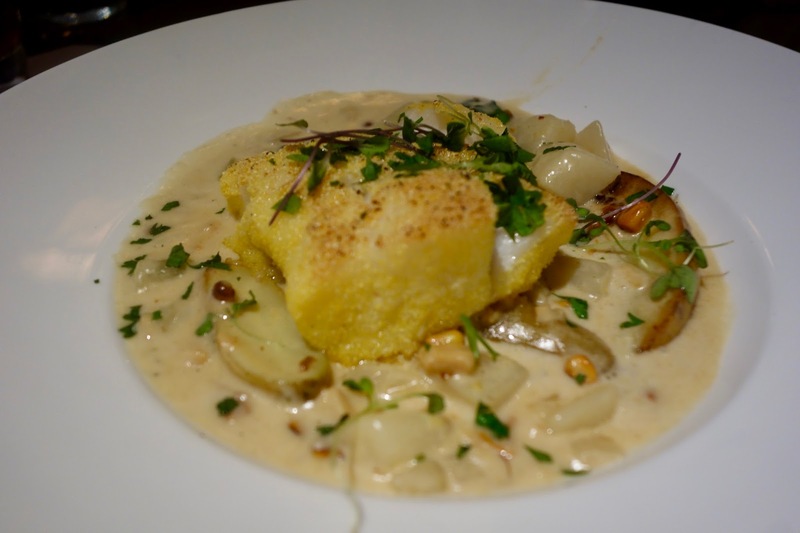 The Cod was flaky and moist, with a slight sweetness from the corn, and the chowder was a delicious addition to the dish, creamy but not too thick. This was a seafood lovers pleasure, an ample and hearty dish. As a Side, we chose the Chopps Tots ($6) with pancetta and cheese, more comfort food. With plenty of melted cheese and pieces of pancetta atop the larger than usual tots, this dish satisfied. I've long been a fan of their tots, and this Side should please you as well. Though Dessert sounded tempting, especially the Adult Sundae, I was just too full to get anything else. Our server, Lisa, was excellent, personable and attentive without being obtrusive. In addition, though she hadn't served us in nearly a year, she still recalled the type of drinks we preferred. The quality, quantity and taste of the food were impressive and as consistently good as usual. Chef Zimei is continuing to deliver a stellar experience and more attention should be paid to Chopps. It isn't the stereotypical hotel restaurant and is worthy of your support. Wine consumption in Japan has risen an average of 4.5% each year for the past six years, and women have been a significant factor in this consumption increase. Recently, Bloomberg published an article, Working Women In Japan Are drinking More Wine Than Ever, which detailed this situation. Euromonitor International, which considered Sake to be wine, noted that Sake is the most dominant "wine" in Japan, occupying about 61% of the market, though also noting that sales volumes have remained stagnant since 2011. Sake consumption apparently isn't increasing within Japan. Since 2006, consumption of wine, other than Sake, has increased by about 50%, although it still remains relatively low, at only about 2.4 liters per-capita a year, the equivalent of about 3.25 bottles. As for which wines are consumed, Still Red Wine dominates at 19.7% with Still White Wine taking second place at 10.4%. The other types include Sparkling Wine at 3.9%, Still Rosé at 3.4%, and Other at 1.9%. The article notes that increased wine consumption is especially due to "women in their 40s and 50s, who have helped boost wine consumption to a new record every year since 2012." Chilean wine has also become the best selling wine in Japan, ousting France for that honor. In 2015, Japan imported about 75 million liters of Chilean wine as compared to 58 million liters of French wine, There is plenty of room for growth in wine consumption in Japan but it seems like it will hurt the local Sake industry. Fortunately, Sake exports continue to rise, at records levels. The Nikkei Asian Review, in an article "Japanese Sake Exports On the Rise," note that in 2016, Sake exports rose 10%, to about $137 Million, and this was the seventh consecutive year of record increases. Part of that increase is alleged to be due to a greater popularity of Japanese cuisine. These figures don't include the amount of Sake purchased by tourists, which could be significant. The increase in exports have also seen an increase in Sake rice harvests. These statistics received some confirmation from Forbes, in its article U.S. Sake Sales Soar As Brewers Around The World Defy Ancient Japanese Traditions. The article notes that U.S. Sake sales have grown about 8% annually for over 20 years, though it wasn't until around 2000 that major U.S. cities started importing significant amounts of high quality Sake. Currently, about 89% of the Sake imported into the U.S. is premium Sake, and not futsu-shu. This article also notes the increase in the U.S. of Sake breweries, such as the Texas Sake Co., which are trying to convince consumers to drink more Sake. Japanese Sake breweries are also trying to find ways to better market themselves to Americans, some trying to create nontraditional Sake, such as flavored Sakes, which might appeal more to Americans unfamiliar with Sake. There is also brief discussion of sweet and sparkling Sake being a gateway to higher quality Sake. I've long said that Sparkling Sake, which often is lightly sweet, fruity and effervescent, can be a good way to break down stereotypes about Sake and introduce newcomers to its diverse potential. All of this news is positive for the Sake industry but there is still much more room for growth. We need more education about Sake, as well as more marketing efforts to show American consumers the diversity of Sake. We also need to show people that Sake is not just for Japanese cuisine but pairs well with all types of cuisines, from Italian to French, from burgers to pizza. Sake is a fascinating alcohol, with a great history, and more Americans need to experience it. Please make a resolution to try some Sake this Spring. Rant: Local Food/Drink Bloggers, Step Up Your Game! Local food & drink bloggers, listen up and carefully consider my words. I'm challenging you to Step Up Your Game! Are you willing to accept that challenge? In May, The Passionate Foodie will reach another milestone, its 10th Anniversary, though I wrote for another blog for a year-and-a-half before that. So, I've been writing about food and drink for 11.5 years and have written over 4,100 posts. During those years, I feel that my writing has continued to improve but I know I still have room for improvement. It is a never-ending objective, to continue to hone my writing, to better myself. There are plenty of other food & drink bloggers in the Boston area, some who have been around for about as long as I and many others who are much newer. I don't view any of them as competitors but rather see them as colleagues. As such, I freely share suggestions and advice with other bloggers, helping them and hoping others will reciprocate. Even if these bloggers attend the same event as me, writing their own articles about the event, they each bring their own unique viewpoint to their story. Now, I've also seen some lost blogging opportunities as well as food & drink articles which could be improved. I freely admit that I'm guilty of such offenses and that means I continually try to up my game, to eliminate such offenses. Today, I'm calling on every other local food & drink blogger to follow my lead. Step Up Your Blogging Game! I don't want to hear excuses. I want to see results, to see other blogs improve and shine. Let's consider a recent example of lost opportunities and where bloggers could have upped their game. The recent Boston Wine Expo offered two days of wine and food tasting, with numerous wine seminars as well. There were over 1800 wines available for sampling and a few dozen food vendors. Such a large event should garner a blogger sufficient fodder for multiple articles. There were so many diverse ways to approach the Expo, concentrating on a variety of wine regions, types, varietals, and much more. It was easy to find dozens of different story seeds at the Expo. I've already written fourteen articles inspired by the Expo. However, some bloggers took the easy route, writing only a single post about the entire Expo weekend, primarily addressing a handful of their favorite wines and foods. Where is the challenge in that? Why only dedicate a single post to such a rich and diverse event? It would have been easy for them to write more about their experiences, to expand upon what they tasted and to share more of what they learned. I've seen this similar phenomenon at other large-scale events too, where bloggers post only a single article, giving short shrift to all that they experienced. Such events offer a wealth of material for plenty of articles so you should take advantage of the experience. Step up your game! Don't take the easy route. Of course you don't have to follow my advice. Maybe you don't have sufficient free time to write more than a single post about such event. Or maybe you don't care about upping your game. I'm trying to reach those people who do care, to wake them up and hopefully stir them to action. I would like to see the local food & drink blogging community improve overall, and that requires many of us to work harder at our craft. It takes us looking more critically at our own writing, to see where we can improve. Are you willing to do so? Will you accept my challenge? "God, you see, was divvying up the land to the people of the world, but the Georgians were too busy feasting to show up to get their cut. When they finally showed up, presumably well fed and having had copious amounts of wine and in tremendously good spirits, they explained their situation with such heartfelt innocence and passion that God realized their sincerity and their enthusiasm for the culture of food and wine, so he gave them the piece he was reserving for himself: Georgia." 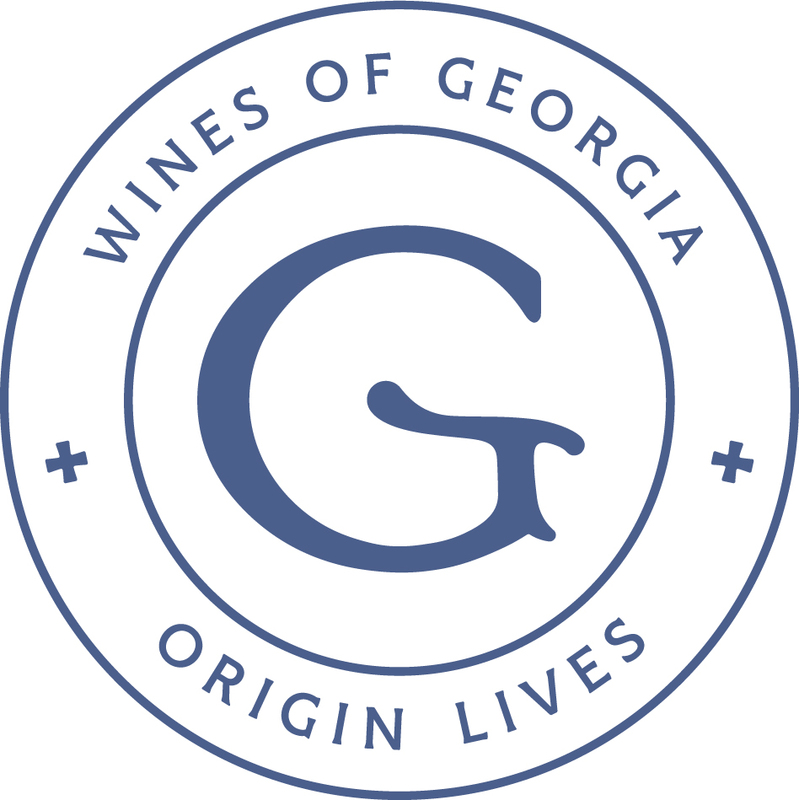 The country of Georgia, located in the Southern Caucasus, is claimed to be the birthplace of wine, extending back to at least 6000 BCE. Besides this achievement, Georgia may also be the location of the oldest winemaking school in the world, the Ikalto Academy. Although that Academy no longer exists, its memory is being honored through the creation of a new Academy, dedicated to Georgian wine and winemaking, which may have opened in Ikalto last fall. Let’s explore the origins and history of the Ikalto Academy and then look to the future of the new academy. During the 6th century, Ioane Zedazneli, a Christian missionary, lived in the city of Edessa (also known as Urhai), which was an important center for early Christianity and which was very significant for the Syrian Church. Ioane allegedly had a vision of the Virgin Mary which requested he select twelve disciples and travel to Georgia to spread Christianity. Following this vision, he assembled a group of other monastic missionaries who became known as the Thirteen Assyrian (or Syrian) Fathers. All of them came from the Mesopotamian region and it is unclear whether they were from Assyria or Syria. Contributing to the confusion is that the ancient Greeks, who created the term “Syria,” applied it to Assyrians as well as other peoples in that region. However, the place of their origin isn’t especially relevant to the point of this tale. The Thirteen Fathers include: Ioane Zedazneli, Davit Garejeli, Abibos Nekreseli, Shio Mgvimeli, Ioseb Alaverdeli, Anton Martkopeli, Tadeoz Stepantsmindeli, Piros Breteli, Iese Tsilkneli, Stepane Khirseli, Isidore Samtavneli, Mikael Ulumboeli, and Zenon Ikaltoeli. While in Georgia, these men established numerous churches, monasteries, and hermitages. As I’ve written previously, Christianity came early to Georgia, with King Mirian III, in 337 A.D. declaring it to be the state religion. However, there were still plenty of Georgians who had not yet embraced Christianity. One of these Thirteen Fathers was Zenon Ikaltoeli, also known as Saint Zenon, who founded a monastic complex in the village of Ikalto, which is located about six miles from the town of Telavi in the Kakheti region. Over the centuries, new churches have arisen on this site, largely replacing the original church, where Zenon was buried. Today, there are three main churches on the grounds. The main church is Khvtaeba (Holy Spirit), which was built upon an older church, and the two others include Sameba (Church of the Trinity), and Kvelatsminda (Absolutely Holy). During the early 12th century, an Academy was established at Ikalto by Arsen of Ikalto, a scholar, philosopher, translater, researcher, hymnographer, and defender of the Georgian Christian Faith. Arsen (later known as Saint Arsen) was the son of Kakhetian nobleman Ibad Vachnadze (also a learned man) and Arsen once also worked as the tutor for the renowned King David IV the Restorer (or Builder). Arsen desired to create a high school and academy, and it quickly became an important educational and cultural center within Kakheti. Some of its more scholarly courses included theology, rhetoric, astronomy, philosophy, geography, geometry, and liturgical chanting. In addition, the academy offered course in more practical skills, including pottery making, metal work, pharmacology, viticulture and wine making. This might make it the oldest winemaking school in the world. One of the most famous students of the academy was the 12th century Georgian poet Shosta Rustaveli. For the next approximately 500 years, the Academy was a significant element within the Georgian community, and it seems very likely it played a substantive role in promoting winemaking throughout the country. I haven't yet found more detailed information on the operation and influence of the Academy though I'm continuing to research the matter. Unfortunately, in 1616, the Academy was destroyed when Persian invaders, led by Shah Abbas I, set fire to it, and the Academy wasn’t rebuilt. However, within the last few years, a major project has begun to create a new academy in Ikalto, the Qvevri School & Academy. The academy will teach about winemaking, qvveri creation and use, and similar topics, and may even offer classes in foreign languages. In addition, the academy will serve as a wine research facility. There appears to be some confusion as to whether the academy is already open or not. The National Wine Agency indicates the academy opened in September 2016 while Decanter claims the academy won’t open until mid-2017. Maybe part of the academy has already opened but certain elements won't open until later this year. As the Georgian wine industry has often reached into its historic past, it is great to see them attempting to resurrect the oldest winemaking school in the world. The academy will help to preserve the past, especially how to create qvevri, and is a major step toward a positive future for the Georgian wine industry. Continuing to relate my recent experiences with Georgian wines, I'm providing more reviews of some of the 60 Georgian wines I tasted at the recent Boston Wine Expo. 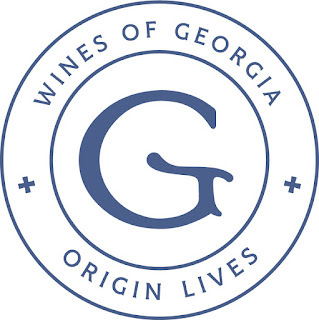 And I'm also going to provide additional history and background on the region of Georgia and its wines, to give better context to these wines. It is impossible to understand Georgian wine without knowing something about qvevri (or kvevri), giant earthenware vessels which may be used to ferment and age wine. Also known as churi in Western Georgia, use of these vessels extends back thousands of years, with proto-qvevri vessels reaching back to the Neolithic era. I'm going to provide some basic information about qvevri, but please note that this is a much more expansive subject. Other synonyms for Georgian qvevri, or earthenware vessels of different shapes and sizes, include: dergi, lagvini, lagvani, lagvinari, kvibari, kubari, lakhuti, chasavali, khalani, and kotso. Other countries had their own earthenware wine vessels, from the Greek pithos to the Roman dolium, or other vessels such as amphorae, tinaja and giara. However, many of those other vessels were used more for storage and transport rather than fermentation and maturation. Qvevri production is, in many respects, a dying art, though there are efforts to ensure its continuation. Historically, traditional qvevri-producing areas includes the villages of Atsana in Guria; Makatubani, Shrosha, Tq'emlovana and Chkhiroula in Imereti; and Vardisubani in Kakheti. The production techniques were passed down for generations through families. Qvevri are made from baked clay, using the built-coil method, and red clay is the most common though some claim that black clay, from Western Georgia is the best, though there may not be anyone currently producing qvevri from black clay. Selecting the clay for qvevri is important as the clay needs to be free of impurities, not too porous, and possess the proper mix of mineral. Once the qvevri has been properly fired, the inside is lined with propolis, also known as bee glue, which is a combination of beeswax, saliva and secretions from botanical sources. Once grapes have been crushed, the juice, along with the skins, seeds and stems, are placed into a qvevri, which is buried underground, helping to keep the wine cool, stable and safe. This natural temperature control helps to make the fermentation proceed well and without incident. In addition, the clay helps with micro-oxygenation, also providing some nutrition to the wine. The extended skin contact in the qvevri will commonly darken the wine, plus qvevri wines tend to be more tannic, including the whites. Not all Georgian wineries use qvevri, and some wineries only use them for some of their wines, but its use seems to be expanding. It is a link to their historic past, and the wines can be delicious and unique, interesting and compelling. There is also a push for the use of qvevri in making more natural wines. Amphora use is expanding throughout the wine industry across the world, but the Georgian qvevri still retains its own uniqueness. In 2013, the United Nations even added qvevri to their UNESCO Intangible Cultural Heritage list. "Tradition says that the Georgians have always lived under threat; they must be sober enough to defend themselves at any time." All of the wines I'm reviewing in this post are part of the Corus Imports portfolio. Corus, which was founded in 2006 and is located in Connecticut, is an importer and distributor of wines and spirits, including wines from Georgia and France, Georgian Chacha, Georgian Brandy, and Russian & Canadian Vodka. The Batono Winery, founded in 2013, has vineyards in the micro-zones of Sagarejo (in Kakheti), Napareuli (in Kakheti), and Ambrolauri (in Racha-Lechkhumi & Kvemo Svaneti). Their winery is located near Sagarejo vineyards, and their name, Batono, means "lord" and is a form of polite address. The 2015 Batono Chinuri ($12) was interesting and delicious, with notes of ripe pear and melon, accompanied by some herbal accents. Easy drinking, but with some complexity, good acidity, and a nice texture. Excellent value wine. The 2015 Batono Qvevruli Saperavi ($20), which is made with both qvevri, and oak, was easy drinking, with bright red cherry, raspberry and plum flavors, hints of spice, and a touch of vanilla. The 2015 Batono Qvevruli Tetri ($20), which is made with both qvevri, and oak, is a blend of 40% Kisi, 40% Mtsvane and 20% Rkatsiteli grapes. This was a fascinating and delicious wines with a unique melange of spice, dried fruit, herbal accents and a touch of eucalyptus. Each sip brings a new flavor combination to your palate and this is a wine to savor and enjoy over time. Highly recommended and a very good value. The Alapiani Marani has made wine for over 20 years, but they only formed a company and began bottling wine in 2011. They have vineyards in the regions of Kartli and Kakheti. The 2015 Alapiani Rkatsiteli ($20), fermented in qvevri, was aromatic and spicy, reminding me in some ways of a Gewürztraminer. There were also dried fruit flavors, with a mineral backbone, and some white pepper on the finish. Very interesting and tasty wine. The 2016 Alapiani Tavkveri ($25), made from a grape usually used for Rosé wines and fermented in qvevri, was crisp, dry and light bodied, with pleasing cherry and raspberry flavors with herbal accents. An elegant and easy drinking red wine. I was thoroughly impressed with the 2015 Alapiani Shavkapito ($25), produced from the Shavkapito grape which is new to me and appears to be rare even in Georgia. Its name means "vine with a black cane" and is said to be terroir-reflective. The grapes were sourced from a vineyard in the Okami village of the Shida Kartli region and the wine was fermented and aged in qvevri. With an alluring aroma of black fruit and herbs, the wine presented with a fascinating melange of flavors, including ripe plum, blackberry and black cherry, along with herbal accents, a smoky note, and a touch of spice. Lots of complexity, smooth tannins and a lengthy, pleasing finish. Highly recommended. The Telavi Wine Cellar, founded in 1915, is located just outside the city of Telavi, in the Alazani Vallet of Kakheti. Some of their vineyards extend back hundreds of years, such as their Kondoli vineyards which were mentioned as far back as 1742. The winery has about 240 hectares of Kondoli vineyards, mostly planted with indigenous varietals though they grow a few international ones as well. They also have vineyards on the left bank of the Alazani River, in the Kindzmarauli area, and one in the Napareuli area. Telavi has a few different labels, including Marani and Satrapezo. The NV Marani Sparkling White Brut ($11) is dry and lightly effervescent, with bright peach, citrus and almond notes, and a hint of toast. A tasty and easy drinking bubbly, with plenty of complexity for this excellent value wine. The 2015 Marani Kondoli Mtsvane-Kisi ($14) is fresh, crisp and dry, with pleasing flavors of peach and tropical fruits, enhanced by some floral notes and spice accents. This seems very much like a summer wine, and while drinking it, it will make you think of a tropical island. The 2013 Satrapezo Mtsvane ($30) was fermented for 5 months in qvevri and then spent 10 months aging in new French oak. It was crisp, dry and aromatic, like Gewürztraminer, with some tropical fruit flavors, a buttery texture, and spices notes. The Wine Man is a family-owned winery, founded by Alexandre I. Jorjadze in 1998, and his family has a history of winemaking. The 2014 Wine Man Tsinandali ($10), a blend of 85% Rkatsiteli and 15% Mtsvane, which is fermented in stainless steel. It is fresh and crisp, with tasty apple, pear, and lemon flavors, with mild hints of spice and vanilla. An easy drinking and tasty wine at a very good price point. The 2015 Wine Man Saperavi ($11) is also easy-drinking, with tasty red fruit flavors, low tannins, and a smooth finish. Another value wine. The 2010 Wine Man Ikhalto ($12) is a blend of 50% Saperavi and 50% Cabernet Franc, one of the few Georgian wines I tasted with an international grape. The wine was fermented in stainless steel and aged for 6 months in old oak. With a tasty blend of cherry and black cherry, plum and raspberry, the wine also had peppery notes, restrained tannins, and a full body. The finish was long and pleasing, this would be a fine wine with barbecue or a steak. The 2014 Wine Man Mukuzani Saperavi ($12) also spent 6 months in oak, and was delicious, with ripe red and fruit fruit flavors, mild spices, and a hint of vanilla. Which Georgian wines did you enjoy at the Boston Wine Expo?